Enjoy the bratwurst and the view, which is hard to beat in this part of the Caribbean. Prices are good, too. And if you like the Green Bay Packers, you’ll have lots to talk about. Bon dia. That’s a darn good beer, served by pleasant people. 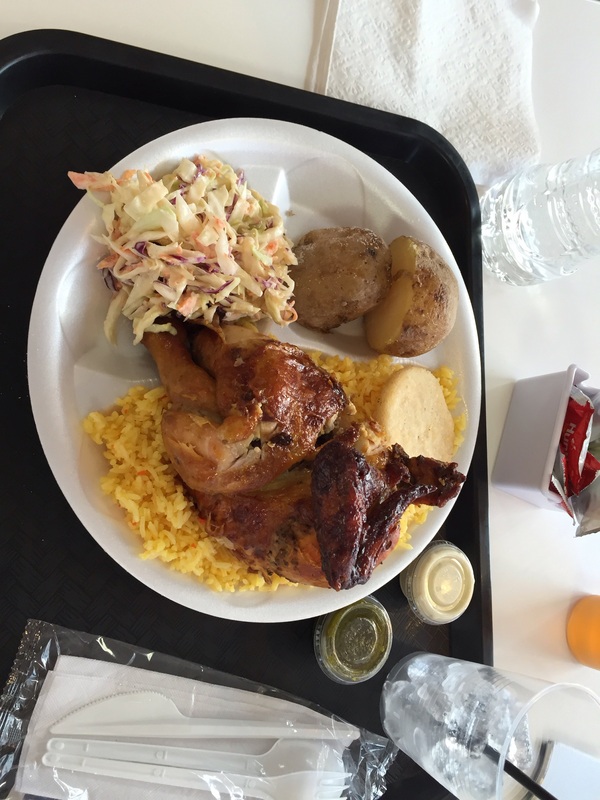 Enjoy every meal… and drink, too. Bon dia from Aruba. Cafe 080 serves up Dutch-style favorites in a pub atmosphere. 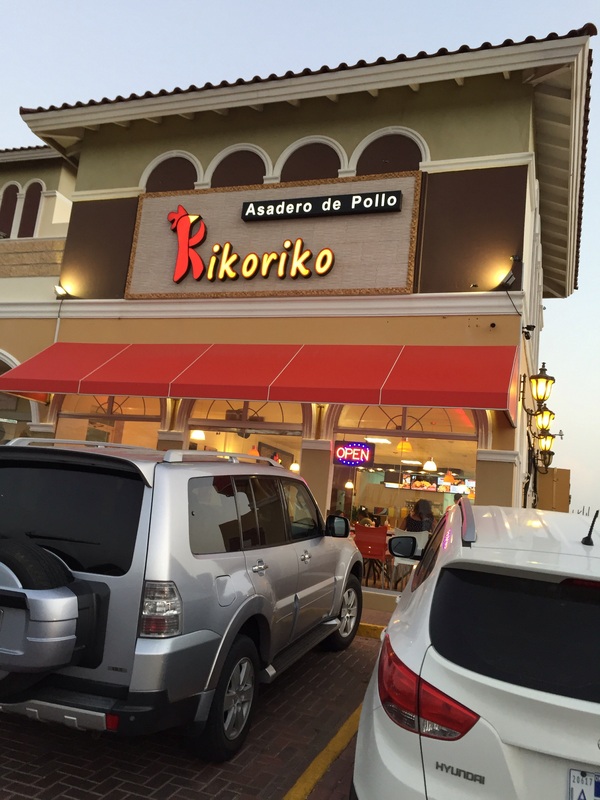 This place is located just around the corner from the traffic light in Noord, Aruba, so it’s easy to find and only a couple minutes drive from the high-rise hotel area. 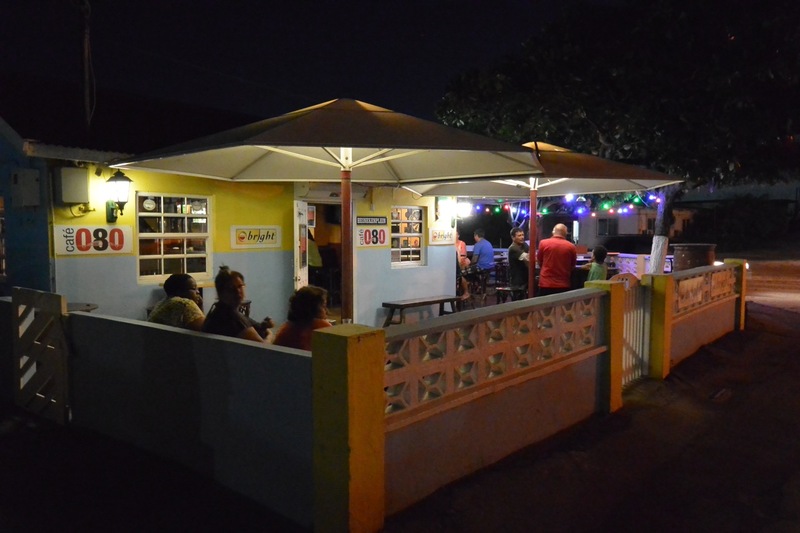 Outdoor seating at Cafe 080, Noord, Aruba, DWI. As you can see from the photos above, there is seating outside. 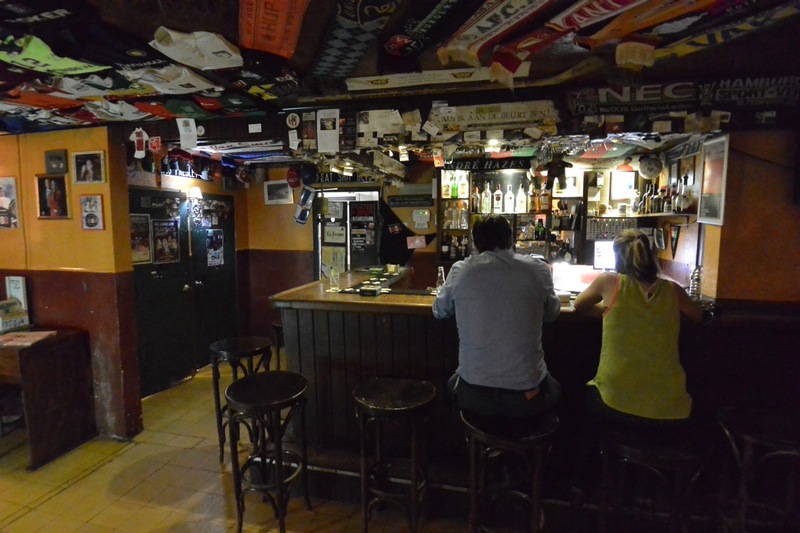 There’s also a bar inside with plenty of soccer (football) memorabilia on display. Bar at Cafe 080, Noord, Aruba, DWI. This place has the best french fries on the island. I stop in to satisfy that craving from time to time as well as to enjoy the various other Dutch food treats that you’ll find on the menu. Prices are very reasonable. So venture out from that resort and try the Cafe 080. If there’s a soccer match on, you’ll be sure to enjoy the vibe here, too.